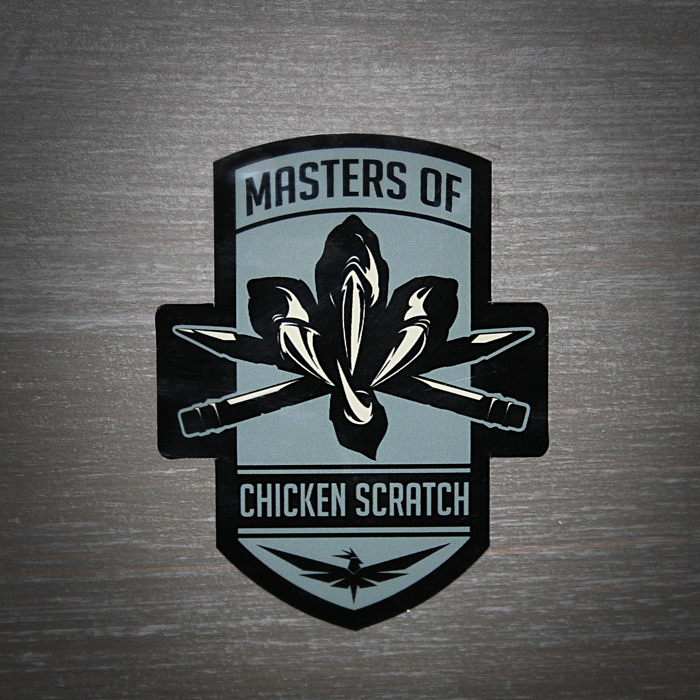 So I recently had some stickers done up for Masters of Chicken Scratch. 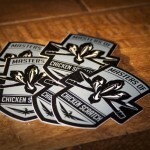 The stickers are 2 3/8″ wide by 3″ tall about the size of a business card to give some reference The stickers are made in the USA with 1.2 mil heavy duty vinyl with 1 mil waterproof UV laminate. You might ask, what does that mean? Well that means they are made of the best quality material and you can slap those puppies on your outdoor play equipment. 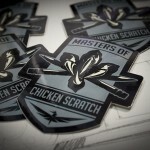 They would look great on your sweet custom 70’s van ( I wished I had one) or your tricked out family ride. It shows you got some style and class. So you can order 1 sticker for $2 but that is not very much fun so I also offer a 4 pack of stickers for $5. 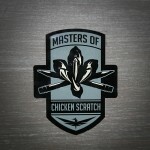 Patches are also on there way and you will be in top notch fashion after you put one of those on your corduroy jacket. 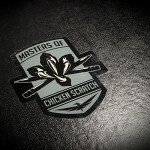 If get some stickers please take some pics and post them on my facebook page or here so I can see where they have been stuck, and keep it clean kids. I love your work !! It helps inspire me as I build model cars. I built this one in 1/25th scale using some of your art work. haha that is very cool. You kind of combined my Batmobile and my hot rod design. Looks very cool!